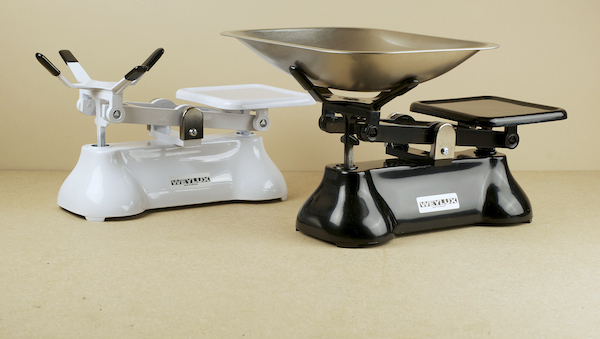 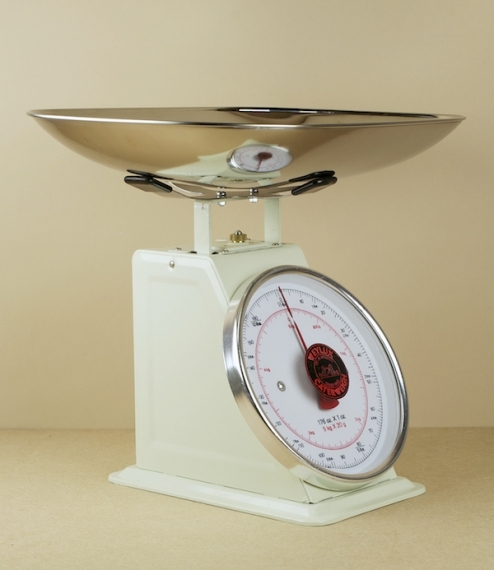 Whilst balance scales with their strong visual (even audible) indices of an exact weight being matched excel at the measuring out of recipes, they are less efficient when determining the weight of an unknown, simple weighing, than their sprung counterparts. 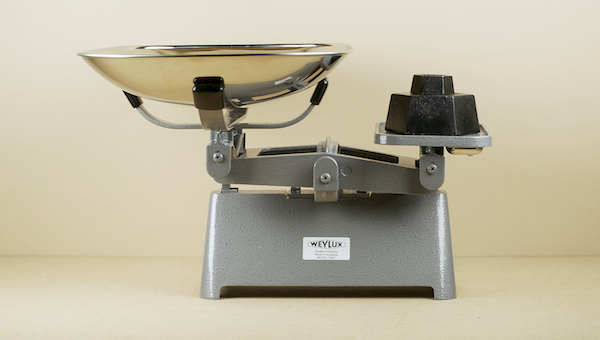 These all steel, box construction, dial scales from the workshops of H Fereday & Sons in Harlow, were built with the professional caterer in mind, and are available with either a large stainless steel pan (roughly 40cm x 28cm) or a 22cm square flat plate which with an easy adjustment can accommodate any suitable container, and provides an ideal bed for use as a parcel scale. 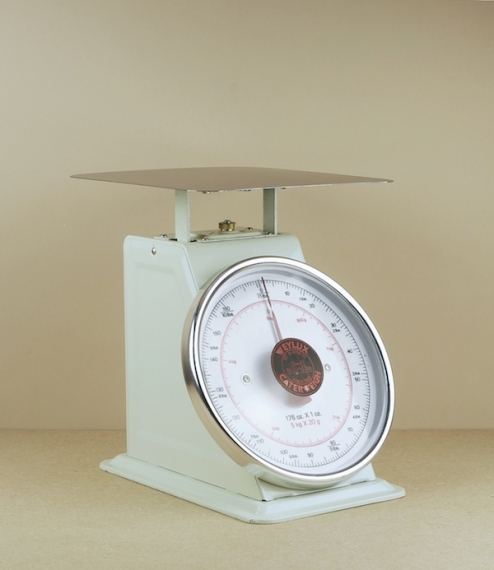 Marked in metric and imperial, with a 5kg/11lb capacity and 20g/1oz scale.